Alex LoRe has contributed to a raft of recent releases and plans to issue Karol with his own group this year. 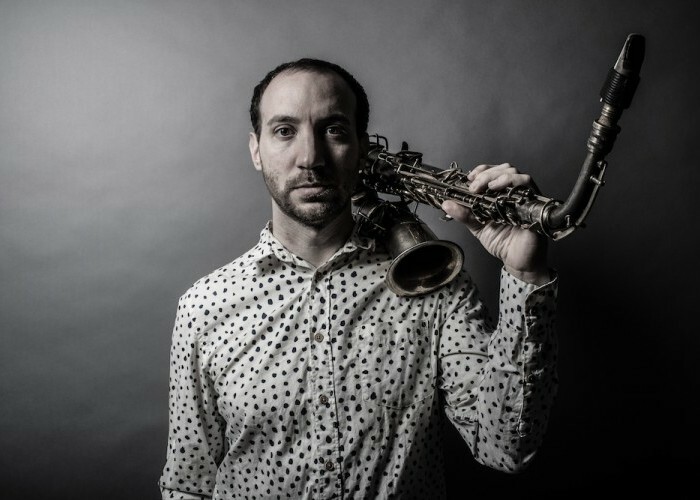 Manhattan-based alto saxophonist and composer Alex LoRe has contributed to a handful of recent albums with a fascinating array of artists, all exemplars of the fertile and evolving New York scene. Born in Tarpon Springs, Florida, LoRe holds a bachelor’s from Boston’s New England Conservatory of Music and a master’s from Manhattan School of Music. Leveraging his background in classical music, the saxophonist’s bold and precise playing can encompass grooves from the atonal to the melodic, and shades anything he contributes to with flair and elegance. 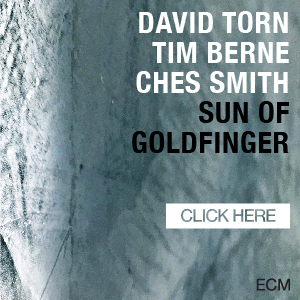 It’s part of what’s enabled him to record and perform with Lucas Pino’s No Net Nonet and the ensemble Kind Folk with John Raymond, as well as Taiwanese vibraphonist Yuhan Su, Swedish bassist Lars Ekman and Chinese vocalist/composer Annie Chen. But in addition to all that ensemble work, LoRe is preparing to release Karol with his own quartet, a recording of compositions inspired by classical composers like Karol Szymanowski, who influenced the saxophonist’s development as a musician. From his home in New York, LoRe shared his musical vision, inspirations and perspective on cooking in a conversation with DownBeat. You’ve participated in so many varied projects recently. Tell us more about how they came about. All of those projects are special in their own ways; that’s part of the beauty of being in New York—you meet people from all over the world with some of the most diverse backgrounds. It’s centralized. You just get to take part in so many different projects that can vary—it’s so much within the jazz spectrum, the improvised music spectrum. I’ve been playing with Lucas since 2010, 2011. He’s one of my closest friends, and we’ve been developing that ensemble for the past six years at Smalls Jazz Club. We’ve had a monthly residency there, where we’ve gotten to work on the music and record and whatnot. So, that’s been a really special group to grow with, just watching how the music evolved over time. In particular, I met Lucas and Glenn [Zaleski] and Colin [Stranahan] in 2006 at some jazz festival in the middle of Texas, just randomly. So, it’s just been a really nice thing for us to develop together. How do you manage the challenges of continually stepping into others’ musical worlds? If it’s my job, how can I redirect the music and provide some sort of contrast that’s going to keep things moving along? How can I provide some needed motion, whatever motion that may be? I like to think more compositionally for my improvisations, as well: What’s the best thing for the music at this particular moment? What’s going to be best for the overall composition, and how can I improvise to make that happen? And does your classical training play a part in this? It did provide me with the training and the tools when I crossed over. With what we do, we practice constantly to eliminate that barrier with our subconscious. When we’re improvising—and that’s translated to our instrument—we get rid of that barrier, but have access to that [training] when it’s called for. I saw a video of Kind Folk playing live in Chicago, and someone described it as “atonal music that grooves.” Is that your intent? How do you accomplish that? Especially with that piece, “Number 14,” that was a study in attention in so far as not using any set harmony, but really putting two or three melodies against one another. There’s implied harmony that’s created, but nothing is set in stone. So, the listener is adding the harmony—it’s somewhere in between his or her ears and the brain? Yeah, and I like it that way, because it really keeps things ambiguous in a good way. It’s not dictating exactly what the audience should be listening to—it kind of lets them use their imagination or lets them use their ear, and have their ears pull them in whichever direction that may be. I enjoy listening to music that way, so I guess inherently, that comes through in my compositions as well. Would you say that’s part of what ties all your work together, your philosophical or musical vision? I’ve been really fortunate to have some really great mentors along the way, including Lee Konitz. One of his main ideas of melody is, first and foremost, that it goes back to Lester Young: the melody is the most important thing. Ultimately—regardless of what I’m writing, no matter rhythmically or harmonically how dense or abstract that can get—that idea still remains central. Having a strong melody that people can grasp is something that really ties everything together. It provides a focal point or a center to hold on to, and then from there, the other aspects of the composition can pull them in whichever way. However, if they still feel like they have something to hold on to, then I feel like it can be a successful journey. Of course, not all compositions have to be that way. Sometimes, you can have the audience get lost; that could be part of the journey, too. I saw a cooking theme in your Twitter feed. Is your cooking like your music? My father is originally from Sicily, and he’s an executive chef. I grew up in restaurant kitchens, from the age of 12 or so. So, I still love to cook, and it’s up there with music. There are definitely connections; it’s almost uncanny.